This chapter begins with the visit of Lord Krishna to Gandhari. In a fit of grief over the death of her sons and the soldiers of her kingdom, Gandhari curses Krishna with the death of all Yadavas in a manner similar to the death of her sons. She blames Krishna for his inaction and believes that he could have stopped the war if he wanted to. Krishna explains how he had tried many times to mediate peace, how Duryodhana refused even a point of land when all that the Pandavas had expected was five small villages, and how Duryodhana and his uncle had tried many times to destroy the Pandavas. 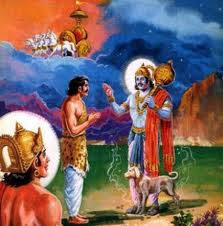 However, the lord also explains that he believes that the Yadavas would be destroyed by internal strife and conflict if left unchecked, so he thanks Gandhari for solving his dilemma and accepts the curse as a blessing. The achilles heel in Indian and greek mythology shoots Krishna in the heel , which he confuses with a deer while Krishna is meditating. Shri Krishna consoles Jara and enters a nearby temple where the deity within him is seen, and so he merges with the image of Lord Vishnu. 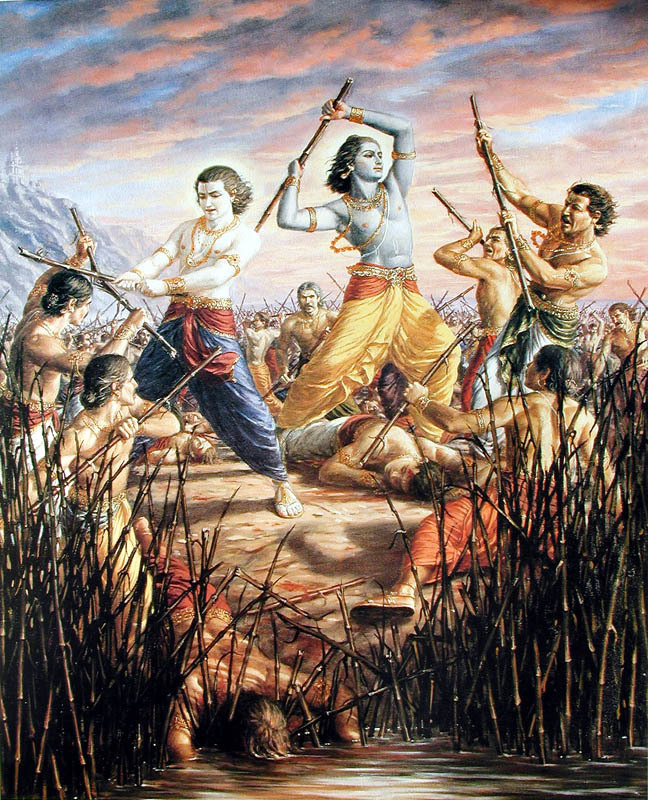 After Shri Krishna (the onset of Kali Yuga), Pandavas lost their interest in worldly matters. They crowned Parikshit (Arjuna& his grandson) and leave for a pilgrimage to various places in India before moving towards heaven. After the great battle of Kurukshetra, the Pandavas started ruling the kingdom of Hastinapur. They meanwhile decided to renounce everything and proceed for Pilgrimage. 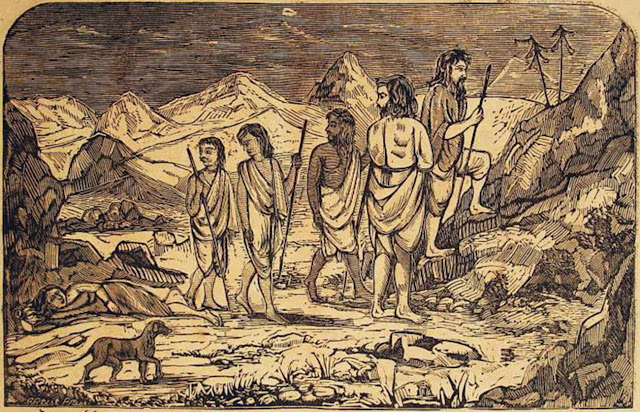 In the Mahabharata, an apt description of the five Pandavas leaving for the Himalayas is found. They went clad only in rags and retired to the Himalaya and climbed towards heaven in their bodily form. A stray dog also accompanied them during their travels. Unfortunately while on the journey, one by one, each Pandava and Draupadi met their end however leaving Yudhishtira and the stray dog. 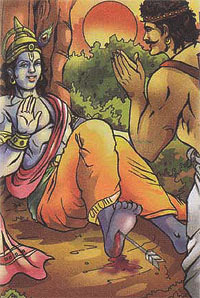 After the end of the Pandavas and their final retirement to heaven, Arjunas grandson Parikshita came of age after ruling Hastinapur for quite a long time also faced an eventual end as he was bitten by a snake. Janamejaya, Parikshits son was ferocious and decided to perform a snake sacrifice,in order to destroy the snakes. With an end of Pandavas a curtain was drawn to a significant chapter in Mahabharata.